(Grand Prairie, Texas - Wednesday, March 5, 2014) - C. Reid McLellan, PhD., national equine educator, will be conducting the 14th Lone Star Park Trainers' Exam Prep Class in Grand Prairie, Texas on April 2-3-4. McLellan participated on the National Trainers' Exam committee and has been offering this exam preparation class since 1998. 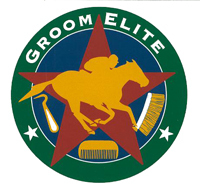 This program is designed to provide information about the Rules of Racing to individuals considering taking a state licensing exam, as well as for onwers or horseplayers that simply want to know more about the Rules of Racing as they pertain to the training and racing of racehorses. This class includes discussion of material included on the barn test (practical exam) and the written test. Rules differ from state to state, and this class points out some of the more important differences. Drug rules and regulations, including updated changes, are discussed in the Veterinary section. The registration fee is $350 and includes a 110-page study guide, refreshments and lunch each day, a ROAP-produced DVD titled "Duties of Racing Officials," a CD with narrated Power Point study guides, and a link to a private web page where attendees can take practice written tests. Attendees that pay by March 22 get to pay a special, discounted "Early Bird" registration fee of $300. Between March 22 and 30, the fee is $330. Registration can be done at the door for $350. 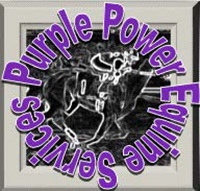 For more information and to register for this Trainers' Exam Prep Class at Lone Star Park, presented by Purple Power Equine Services & The Elite Program, Inc., go to www.purplepowerracing.com or call Dr. McLellan at (859) 321-4377.